As we mentioned in a previous post, TVPad users are experiencing problems due to the the company being sued and shut down by a lawsuit brought by TVB, The Dish Network and CCTV, among others. There is a workaround to getting your TVPad to function again despite the company shutting down. After the lawsuit forced the company to fold, TVPad pulled their service offline on their default DNS server address. The key piece of information to pay attention to is the DNS server address. The workaround here is finding a DNS server that will work for your TVPad (working DNS addresses vary by which TVPad model you have — TVPad1, 2, 3 or 4). Domain Name Servers (DNS) are the Internet’s equivalent of a phone book. They maintain a directory of domain names and translate them to Internet Protocol (IP) addresses. This is necessary because, although domain names are easy for people to remember, computers or machines, access websites based on IP addresses. Information from all the domain name servers across the Internet are gathered together and housed at the Central Registry. Host companies and Internet Service Providers interact with the Central Registry on a regular schedule to get updated DNS information. Basically, TVPad’s internet address was located at 61.139.54.66 and 192.168.0.1 when the lawsuit hit. The forces that be had TVPad shut that DNS down in order to pull their service and once they did that, TVPads across the world went dark. The good news is that you can easily change your DNS as a workaround solution (not sure how long this will work though). It might take a few tries, but it’s been reported to work with dozens of users and all models. I’m not here to provide specific DNS addresses, just information, but you can find TVPad DNS addresses easily enough on the internet. Once you find a DNS that has been reported to work with your TVPad model, plug it into your settings and restart your device. If it works, great. If it doesn’t keep trying to find an active DNS address. Good luck. TVPad not working? 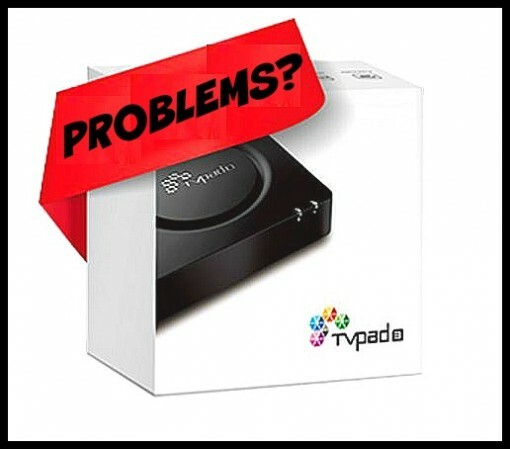 The TV box was blocked and shut down by lawsuits How to change the DNS on TVPad What are the best TVPad alternatives? Hi:I have tvpad2 and3.can you tell me what I can do now? thank you very very much. What can do to make a work the green man back? Tried all the numbers I got from the internet since Oct 2015. The company shut down? As of last week my tvpad 4 was still working. Now it says it’s restricted, call you seller. Is tvpad finally dead?